About that Kobe Beef in Rossio, MGM Macau! - MisTan IzZy | Travel & Lifestyle. Welcoming spring with a gastronomic specialities at Rossio, MGM Macau - The Kobe Beef Buffet Dinner! If you haven't already heard of Kobe Beef, now let me tell a brief about why the Wagyu of Japan has come to be known today as the most highly marbled and most expensive beef produced in the world. Seeing the term Kobe beef on a menu stirs up lots of excitement, with the Japanese doing an excellent job at marketing the elusive meat. Kobe beef is like black gold caviar. Like aged Chateau Margaux wine. Like hand-rolled chocolate truffles. In other words, it’s expensive, highly sought after, and a status symbol. But why the fuss? What is it that makes Kobe beef so special? Kobe beef is a special grade of beef that comes from the Tajima-gyu breed of cattle found in Japan’s Hyogo Prefecture. Introduced as work animals in the rice cultivation industry during the 2nd Century, Tajima-gyu became isolated from other breeds, hiding away in Japan’s mountainous landscape in small pockets of cultivable land. This isolation is said to be responsible for a completely unique taste and texture; one that depicts Kobe beef as the ultimate meat when it comes to flavour, tenderness, and high amounts of intramuscular fat. Bringing the excitement to you by Rossio, MGM Macau will be offering an exclusive gastronomy journey for both meat and Cantonese lovers throughout April. 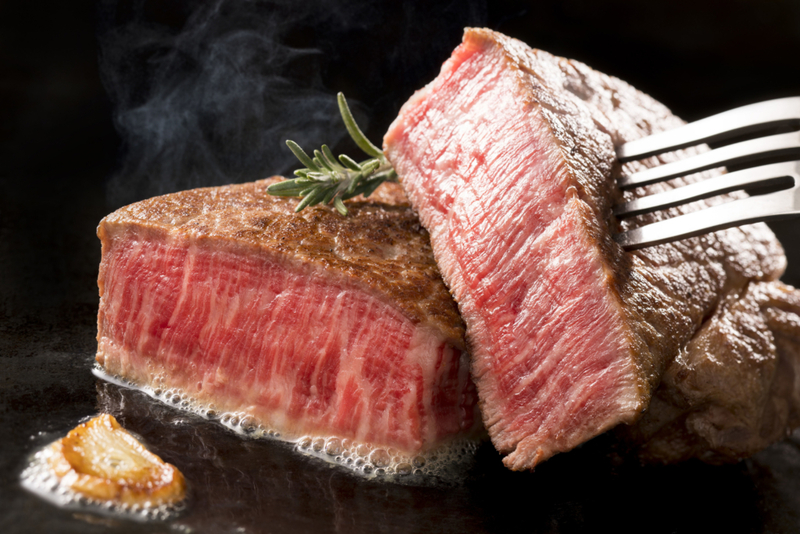 Meat lover, you heard me right, now you should indulge yourself with the A5 Kobe Beef Dinner Buffet at Rossio! Any meat-lovers will find heaven with the succulent roasted meats that are carved and cooked by chefs in the live stations, as well as the wide selections of culinary delights, such as the Salt crusted roasted Kobe beef, Braised Kobe beef brisket in soy sauce, Kobe beef sukiyaki and Torched Kobe beef nigari. Some of the specialties are added with innovative elements to surprise the guests, including the Kobe beef with cereals rice and cheese salad, as well as the Gyros grill Kobe beef with naan bread. Kobe Beef Wrap in Paratha. The excitement doesn't stop just yet, Rossio buffet dinner includes seafood, Chinese dishes, salad as well as dessert corner that serves over 30 different types of sweets to round up the meaty feast! This exclusive Kobe Beef Buffet is only available for dinner on Friday, Saturday, and Sunday. From April 21 to 30 in Rossio MGM Macau with the price of MOP 458/person, you are advised to make a reservation prior to your dinner. For reservation and enquiry, kindly call +853 8802 2373.